Robin Michael studied at the Royal Academy of Music with David Strange and Colin Carr and later with Ferenc Rados. 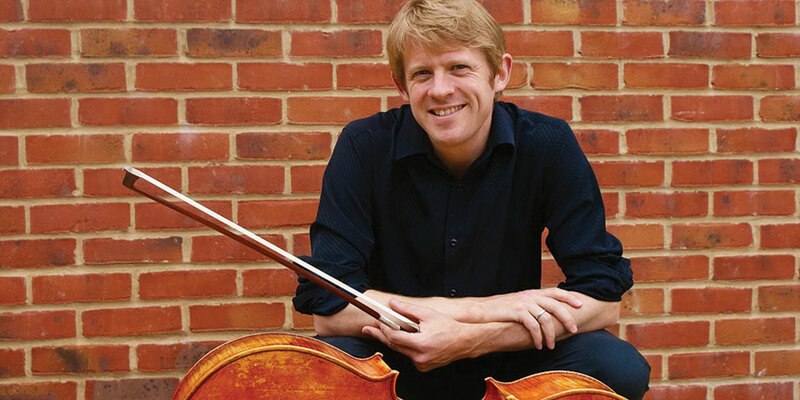 Recent concert highlights include complete Bach and Britten suite cycles in France and London, the South Korean premiere of Jonathan Harvey's 'Advaya' for cello and electronics as well as festival appearances in Buenos Aires, Library of Congress, Washington, and European festivals including Cheltenham, Aldeburgh and St. Magnus. A much sought-after cellist, he is principal cellist in Orchestre Revolutionnaire et Romantique, solo cellist with Orchestre Les Siecles (Paris) as well as regular guest principal cellist with numerous orchestras, including the Australian CO, Scottish CO, Irish CO, Britten Sinfonia, English Baroque Soloists, ENO and Orchestra of the Age of Enlightenment.